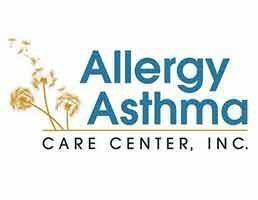 If you have any questions, concerns, or comments regarding Allergy Asthma Care Center, Inc, please fill out the short contact form below. "I have been suffering from allergies & asthma my whole life, and the doctors at this care center were able to pin point exactly what I needed to take for each problem." "I have never ever felt rushed during my visits. They have provided me with the best care anyone can get. " "If you are looking for quality care in a professional and friendly setting, look no further. Allergy Asthma Care Center is the place to go."